Purchasing your home is one of the biggest decisions in life. If you are considering buying a home or simply buying another property for investment purposes, we can work with you. Buying real estate is a win win situation. The ability to own your home and do whatever you want to it is rewarding. We additionally specialize in working with investors who are looking to expand their current portfolio and expand their assets. We have a variety of loan programs that allow you to borrow from one of the properties that you own, to buy another one. We have programs that allow you to finance up to 95% of the purchase price which would include our 5% cash back program, as well as programs that allow you no-income verification, which especially helps when you are self employed. Our Home Equity Loan and Equity Line of Credit were created to give you the peace of mind that should you have unexpected needs, you have a credit facility with Mortgage Corp.. It could also be used to pay off or consolidate high interest rate credit cards and other debts or refinance your existing home equity line or second mortgage. The interest you pay may also be tax deductible, providing you with additional savings. Consult your tax advisor for interest deductibility. We can fund your request as one loan or offer you our special equity line of credit. You will be able to access this line of credit through checks which will be provided to you at closing. Mortgage Corp. offers hundreds of different Debt Consolidation and Home Equity loan programs. We specialize in tailoring a loan to fit your individual needs. Many families work with us every month to restructure their consumer credit debt in order to save on their monthly payments through a lower interest rate, consolidate all their bills into a single monthly payment, and convert the interest paid into a valuable tax deduction. Mortgage Corp. can offer many different programs and interest rates for you and provide you with the best possible solution to your consumer credit debt dilemma. When refinancing your 1st mortgage loan on your home, it is a good idea to have a strong goal in mind. Refinancing can enhance your financial outlook substantially, but you must be sure that you will obtain exactly the type of loan that is best suited for you and your family. Sometimes it is a good idea to speculate how long you will own and keep your home, this can be a strong determining factor in the refinance decisions that need to be made. Do I want to lower my monthly mortgage payment and get additional cash from my equity? 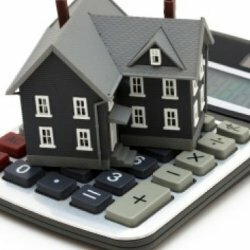 Do I have a second and/or third mortgage that needs to be included in my new 1st mortgage refinance? Will I save enough money on a monthly and yearly basis to make refinancing worth my while? What are the costs associated with refinancing my home loan and do I need to pay any up front fees? All of these questions can be answered by one of our loan professionals that are available to pre-approve your loan within four (4) hours of your call. Our specialty in the 1st mortgage industry can benefit you greatly with the several different loan programs that we currently offer. Our rate programs will enable you to receive the most competitive interest rate available. We pride ourselves on having "Better than Bank posted interest rates". Since it was introduced to the Canadian marketplace in 1991, the frequency with which title insurance is used and the variety of ways in which it is applied have increased significantly. Title insurance is used by all types of real estate industry professionals, including lenders, mortgage brokers, lawyers, real estate agents, developers and builders, to facilitate real estate transactions. It is being used for all types of real estate transactions -- residential and commercial purchases, refinances and mortgage assignments -- and is widely accepted by most Canadian financial institutions. Today there are several companies that offer title insurance and related products and services to the Canadian marketplace. Title insurance protects the insured (the lender and/or purchaser) from loss or damage resulting from title or survey defects. 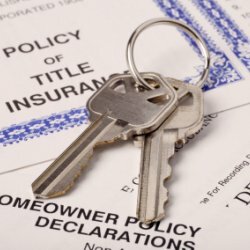 Among the coverage a title insurance policy provides is protection against defects in title, unmarketability of title, invalidity or unenforceability of the insured mortgage, and fraud and forgery which affect the insured's interest in the property. As a result of these forms of protection, title insurance can allow the mortgage process to be redesigned to eliminate steps and reduce disbursements. How is title insurance used by lenders and mortgage brokers today? Lenders and mortgage brokers serving Canada's residential mortgage market use title insurance in several ways. Almost all Canadian lenders accept title insurance as either a replacement of or supplement for their usual survey or real property report requirements. 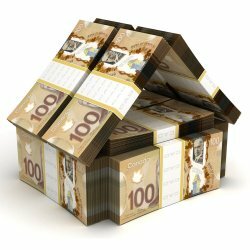 In this regard, lenders and mortgage brokers alike provide significant cost and time savings to their clients. Additionally, many lenders have expanded their acceptance of title insurance beyond typical survey matters and now allow title insurance to be used to replace or supplement almost any issue relating to title. In some cases, title insurance is now accepted as an alternative to the traditional solicitor's title opinion. In these cases, the cost and time savings can be even greater. Another common use of title insurance among lenders is customized title-insured mortgage refinance and assignment programs. In these situations, the client of the lender or mortgage broker already owns the property he or she is mortgaging and may be using their existing property as security for a new loan or line of credit. They also may want to move their existing mortgage from one institution to another. To develop this type of program, the lender and title insurer work together to customize a transaction closing process that is designed to offer enhanced security to the lender, as well as greater speed and bottom line savings to the borrower. Lenders can even brand or "private label" these programs so they can market them as part of their portfolio of mortgage-related services. 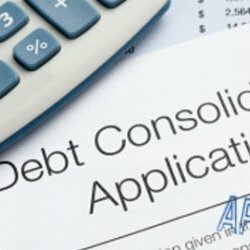 The popularity of this type of program has grown over the past few years to the point where today, almost every type of Canadian lender (from the large national banks, trust companies and finance companies to the one-branch local credit unions) offers some type of customized title insured program. A typical program generally includes services such as: all searches necessary to issue a title insurance policy, preparation of the mortgage and related documents, forwarding all documents to the lender for signature or arranging for execution of the documents, registration of the mortgage document and issuance of a policy of title insurance to protect the lender. 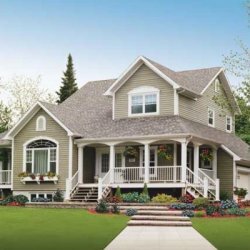 The main benefits of a customized title-insured mortgage refinance or assignment program are reduced costs, competitive fixed prices, instant funding (funds available immediately upon document signing), fast service (with typical transactions completed within 72 hours) and the convenience of in-branch signing.